This Colloquium places the Tasmanian Josephite story within the context of the Universe story, salvation history and the founding story of Mary MacKillop and Julian Tenison Woods. We welcome participants from schools and colleges: teachers, administrative staff, members of Boards and Governing Councils as well as our Associates and co-workers in other Josephite ministries. In the beautiful setting of the Josephite Mission and History Centre, participants are immersed in the Josephite story, its origins and expansion, especially in Tasmania. 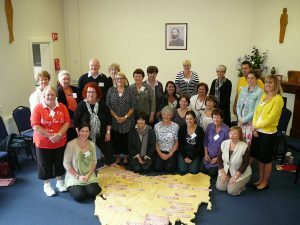 It is an opportunity for participants to gather with others to share, to explore and to imbibe the spirit of Mary MacKillop and Julian Tenison Woods as it is expressed today in the lives of people who are attracted to the spirit of Joseph. We hope, too, that these days provide an opportunity for participants to meet, pray and talk with a group of friends who will provide on-going mutual support. 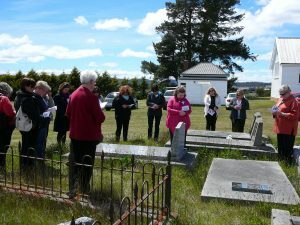 Each year the Colloquium takes place over two days at the Josephite Mission and History Centre, 67 Clare Street, New Town, followed some months later by a one-day pilgrimage to the lower midlands of Tasmania. Here, pilgrims walk in the footsteps of Father Julian, who ministered in this area in the early 1870’s, and the early sisters who established schools in Oatlands, Tunnack and Colebrook.